No secret that I love The Runaways comics by Brian K. Vaughn.It’s about a group of kids who find out their parents are supervillains. They deal with the shock that their parents are criminals and killers.They sacrifice someone every yea when they meet up.The kids reaction to finding this out is to Runaway. Of course, they also find out some of them have abilities as well. I love the characters in these comics. They are precious and deserve protecting.They also are one of the more diverse teams including a lesbian character in the original team and a love interest for her later in the series. Marvel announced that there would be a tv series based on the comics coming to Hulu a while back. Recently they announced the casting and I have to say I’m really excited for it. I think it’s a great casting overall. I actually need to get Hulu when this comes out and I don’t want to do that. Brian K. Vaughn is acting as the executive consultant to the series so I really feel like this series will be amazing. 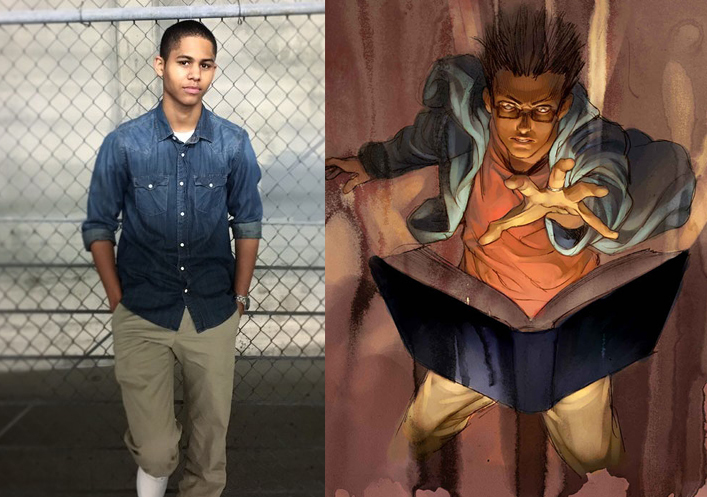 Rhenzy Feliz plays Alex Wilder. A child prodigy with no actual powers. His parents are mobsters. Starting off with Alex because he’s really the leader of the team when it starts off. Alex is so dang smart to be honest.I’ve wanted to cosplay as this character for a while. There aren’t enough black characters in comics that I identify with. His plot doesn’t go exactly the way I wished in the comics. Still, I always admired his ambition and the way he leads the team to take down their evil parents. This actor is not very well known. He hasn’t been in too many things. I’m hoping he brings something great to this role. Alex has a lot of depth and changes throughout the comics. His character does some things that are questionable but the team would not be what they become without Alex doing all that he does. He definitely has an edge to him like his parents. I’m really wondering who they will cast as his parents. I feel like they are two of the better villains. Maybe because they have no special ability. They are just badass mobsters. Ariela Barer as Gert Yorkes, The coolest girl in the world. She has purple hair.Her parents are time travelers from the future. She gains a telepathic link to a dinosaur. Gert is probably my favorite characters. I’ve never watched anything with this actress in a main role. I’ve seen her play side characters in some Disney shows. 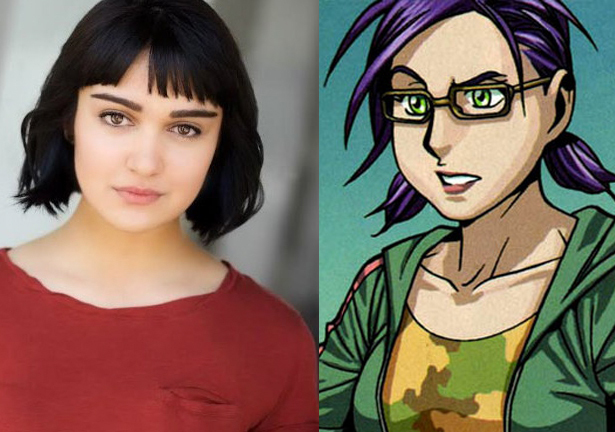 I hope they keep her hair purple in the show and that she really brings all the qualities I love about Gert out in the show. I think she will. The actress is Latinx which really feels like we are getting two Latinx superheroes on the team. That’s awesome! Gert doesn’t have powers herself. She has a dinosaur named Old Lace. I feel like that is a big deal for her aat points in the comic. At one point in the comic, she talks about being a person that keeps people with powers in check.It felt like something a batman like character might say.She’s smart and loyal.She’s strong on her own. She can be confident on her own.She’s more distant from the parents prior to finding out they are villains than some of the others. She always had the intuition to know something was off with them. I’m really hoping good things for this character in the show. Plus this is such a great opportunity to show some body positivity. I really hope they don’t pass that up entirely. 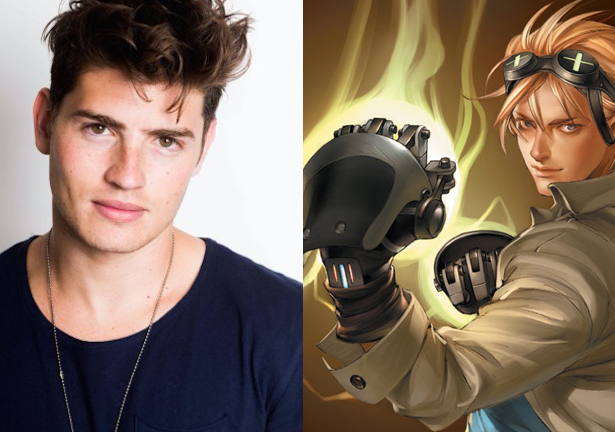 Gregg Sulkin plays Chase Stein, whose parents are mad scientists. He steals one of his dad’s inventions (Fistogons) when he leaves with the other Runaways. I have seen Greg Sulkin act in so many things from Disney shows and movies to his role on Faking it. I’m wondering what he will bring to playing Chase. Chase isn’t one of my favorite characters but I do think there are layers to his character that could be really fleshed out through good acting choices.I definitely think Sulkin’s a good actor. Chase deals with a lot because of the pressures his family put on him but once he runs away you don’t really see references to that again in the comics very often. I’m hoping Gregg sulkin gets me to really like the character in the show. 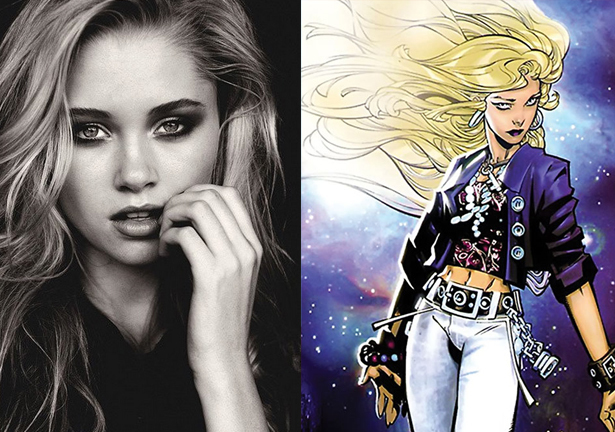 Virginia Gardner plays Karolina Dean. She discovers that she is an alien and her parents were actually evil alien invaders. I love this character and am pretty happy with this casting. I think Gardner will do a great job. I’m really wondering how they are going to pull off her alien powers.I hope they don’t scale it back too much if they have to do that. She also better be a lesbian like she is in the comics.They can’t take my favorite lesbian alien away. I will abandon this show if they change that. She doesn’t really have a romance until later in the comics but I hope the show gets another season to enact that romance. I’ve always loved Karolina’s relationship with Xavin who I talk about quite a bit in my last Runaways review here. 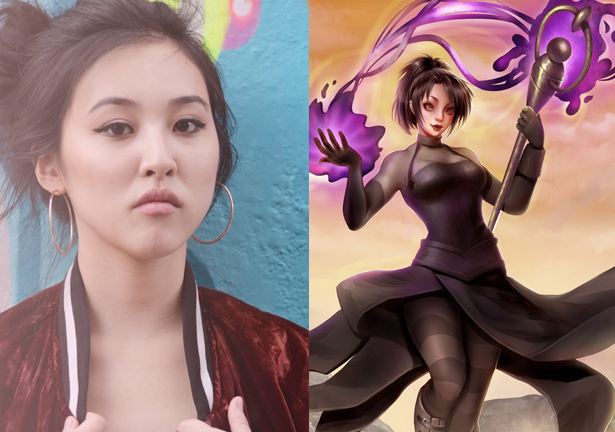 Lyrica Okano is Nico Minoru. She casts spells with a staff she gets while fighting her mother.She’s a witch. I love Nico Minoru in the A-Force comics. I don’t like her much in the Runaways comics. I love what she can do. Magic is always fun for me. Her particular magic has always been interesting. She can only use a spell once and never again. That means she needs to really stay on her toes and think of new ways to get things done. her character just has the messiest romantic situations, though. over and over again.She has a hard time dealing with her parents being villains. Especially after her mother sort of tries to kill her in the comics. It will be interesting to see how the show handles that. Really happy with this casting, though. She definitely has the look for Nico.I honestly think they got this perfect. Been trying to find Lyrican on social media and struggling so if anyone finds her send the link my way. Following most of the cast on twitter now. 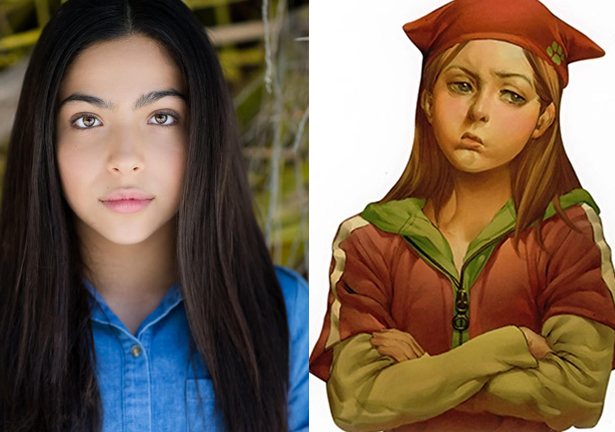 Allegra Acosta is Molly Hernandez (Molly Hayes in the comics). She is a mutant with super strength and glowing eyes occasionally. Such a good casting. I absolutely love that she is Latinx in the show. I was surprised when I saw the name change but very happy about it. I feel like the comics are pretty diverse as it stands but I always welcome more diversity. Great decision in my opinion. I don’t think they can make her a mutant because of issues with X-men and Fox.So I’m wondering how they will explain her powers. Especially since her parents should have the same powers. Will they make her an alien like Karolina? Maybe they will link it to Inhumans or Hydra? They can really do something interesting with it. Molly is the youngest member of the team in the comics. I’m wondering how old the Molly that Allegra Acosta will be playing is. Alright, that’s it for the casting and my gushing over my love of the characters. Really hope we get more than one season. I’d love to see Victor Mancha and Xavin come into the show. More diverse characters and great story lines. Especially with Xavin often changing genders. Also, hope we get a Cloak and Dagger crossover even though the upcoming Cloak and Dagger show will be on Freeform. Tell me what you think of the casting. Are you as excited for the show as me? What do you do when a sentient cosmic event rampages through Japan? ASSEMBLE A-FORCE! Marvel’s newest hero, SINGULARITY, has escaped Battleworld and found her way to the Marvel Universe! But she didn’t make the journey alone. To combat the villainous ANTIMATTER, Singularity will call upon Earth’s mightiest team of Avengers. And one thing’s for sure: They are A FORCE to be reckoned with! I loved A-Force. I’m glad I started after Battleworld. I wasn’t very interested in that world from the bit I did read on it. I like seeing this team forming in this world. 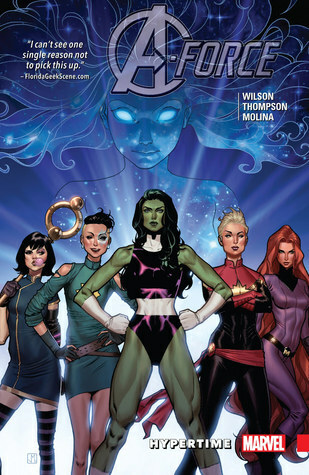 A-Force is made up of some really amazing characters. I did not expect to like She-Hulk as much as I do. She’s so brave and just. She’s wonderful. The more of Medusa I see the more I like her. She’s appeared in Mrs. Marvel a bit as well. She’s kind of scary. Not a bad thing at all. She’s powerful and not to be messed with. I knew nothing about Nico Minoru because I still haven’t read The Runaways yet but her abilities are so interesting to me. She’s more than just a magic user. She has limitations that make her interesting. I want to read runaways to see more about her backstory. How she found out her parent was a villain. Her decision to branch away from them. It’s interesting stuff. I want to be best friends with Dazzler. She’s an angry rocker girl with some really badass powers. I’ve never really seen a power like it in anything. I want to read more about Dazzler. Dr. Bell isn’t a part of the team directly but she works with Captain Marvel. She’s a badass black female scientist in space. I loved her appearances in this issue. Then, of course, Captain Marvel is basically the boss of space so she’s great. I just loved this team so much. I loved seeing them come together in this really strange situation. Someone shows up claiming they know you and that in some other dimension you are a team. This team is different than the one Singularity knows of but it still works. They still come together. I really loved the progression of it all.